Lykke Leonardsen is Program Director for the City of Copenhagen, Denmark. Copenhagen started its work with climate change adaptation in 2008. The first step was the preparation of the climate change adaptation plan that was published in 2010 and approved by City Council in 2011. The adaptation plan looks at possible impacts on the city from expected climate change concerning rain, sea level rise, rising temperatures etc. And at the time of the publication climate change was still something for the future and it was expected that there would be a long process towards implementing the ideas of the adaptation plan. But on July 2, 2011 a massive cloudburst hit the city. In two hours the city was flooded by 150 mm of rain – which in Denmark equals a 1000-year storm – a storm that statistically would only hit the city once every 1000 years. The damages were massive; insurance companies received claims for more than one billion US-dollars. But more importantly the cloudburst showed that the city was vulnerable. Critical infrastructure was heavily affected by the cloudburst with power outages at hospitals, closed roads, and threats to the city’s emergency services. The 2011 cloudburst became a game changer. All of a sudden climate change was not something that could happen sometime in the far future – it was here and now. And in the coming years more frequent cloudbursts underlined the need for action. As a direct result, the city immediately started work on a cloudburst management plan. Just making cloudburst solutions was not a good business case. We needed to include normal storm water management to make it pay off. Identifying the break-even point where repairing damages would be cheaper than preventing them. For Copenhagen, our analysis proved that break-even point to be a 100 year storm. Once that was done we needed to look at methodologies. We had already in our adaptation plan done the basic economic calculations that showed us that an expansion of the existing combined sewer system would be too expensive and difficult to implement. Climate change is not an absolute number – and neither is the city’s development. There are so many uncertainties. We don’t know exactly how severe climate change will be – and the city is also constantly changing. So we need to develop flexible solutions that can be adapted to the changing environment in the city. Our methodology had to take these uncertainties into consideration. This is why we started to look at surface solutions. And not just surface solutions in isolated pieces dotted around in the cities. We are basically creating a new surface infrastructure to manage storm water in the city. The system is city wide and connected – just like a normal sewer system, and it works parallel with the old sewer system keeping the storm water out of the sewer system and in that way preventing sewer overflows and flooding of houses etc. A key element in the Copenhagen Cloudburst Management Plan is the added benefits of the adaptation work. By creating a surface infrastructure with cloudburst streets and retention areas we also have the opportunity to create a better city. We can add more green, more urban nature, more recreational space, and add to the livability of the city. After all, it doesn’t rain all the time – so we have to make sure that our cloudburst interventions can function in the city when it’s dry! From the very beginning of the adaptation work in Copenhagen this has been a guide line for us – not just to solve problems, but also to look for opportunities. In order to develop the Cloudburst Management Plan, the city was divided into seven water catchment areas. These catchment areas form the basis of the plan, and for each catchment area hydraulic analyses were paired with analyses of urban landscape, topography, and urban development plans. On this foundation, a detailed plan for managing a 100 year storm was developed for each catchment area. These plans were approved politically after a period of public consultation and on the basis of that we started preparing the implementation plan. How do you actually plan how to implement 300 projects over a period of 20 years? Where do you start and where do you end – and what goes on in the middle? There were a lot of questions in the process. We needed to recalculate the economy and we also had to make sure that the figures that we would be presenting for the final political decision actually were as accurate as possible. In the implementation plan we described all 300 projects – identified where we could see potential for greening, and synergies with other planning in the city. We dedicated a large part of our planning process to the economy and financing. Everything that can be clearly defined as stormwater infrastructure (pipes, tunnels, canals) with only that function, is financed and constructed by the municipality owned utility. Stormwater infrastructure combined with other functions (cloudburst streets, retention in parks etc) is financed by the utility, but constructed by the city. Added urban space improvement on top of the storm water infrastructure is financed by the city (taxpayer money). In the implementation plan, the total costs of the Cloudburst Mangement Plan was estimated to 1.5 billion US-dollars. And in 2015 the City Council unanimously approved the implementation plan – and we were all set to go. Now three years down the line we have to admit that there are a few bumps along the way that is making the implementation more complicated than originally estimated. We need to make sure that the hydraulic modelling is more detailed and are currently in the process of revising the more than 50 cloudburst branches that constitute the plan. Another experience is that it is not easy to implement a new infrastructure in a city. One of the obstacles is the different planning logics that we have. It is difficult for the utility’s sewer engineers to work above ground – and there are issues like water quality, street design, traffic, etc. to take into consideration. It takes time to reach a mutual understanding of how this has to be done. We are sure that it is possible. When Copenhagen started working with its bicycle infrastructure we had the same problems – and 30 years down the line this is not the same problem that it originally was – everyone agrees that we have to have bicycle infrastructure everywhere. We think that other cities can learn a lot from the Copenhagen case – both from our successes – and from our mistakes. Probably the most significant thing to look at in Copenhagen is the business case approach rather than the focus on risk. Our success is that we were able to demonstrate that it would be a good idea to deal with cloud burst management in an integrated way, and that we could also work to improve the city. A key message to other cities is to look at the city’s need for development and link that with the adaptation work. This can also help leverage financing. If a developer is developing an area for housing it is relatively easy to make sure that adaptation is a part of the development. Another key message is that it is important to work with flexible and adjustable solutions. Climate change projections are full of uncertainties. We know that climate is changing, but we are not fully aware of how much and how fast. And cities are also changing. It is really difficult to fully imagine what the city will look like in 40-50 years’ time. Solutions that can be adjusted are important. A lot of cities have over time asked how much the cloudburst of 2011 has impacted the speed of the development of the cloudburst management plan, and is it necessary to have a disaster to get political back-up? 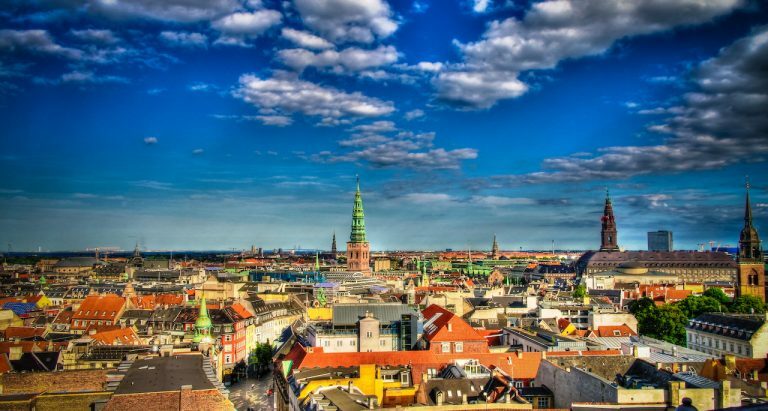 Other cities have looked at the Copenhagen case and used it to model what would happen if it happened in their city and used that to start the planning process. Make a plan and do the hydraulic modelling. Sometimes the solutions are far from where there is a problem. Link the adaptation work to the development of the city, mainstreaming it from the beginning. In short – it’s time to start working. First of all, you need to provide people with access to your “Plan”. and even costs for FREE. Fourth what do you have as measured results before and now after the Plan was implemented. well as having contacts at AAlborg Un in N. Jutland for over 3 decades now. from people and other sources.